Whirlpool Appliances: We love them! 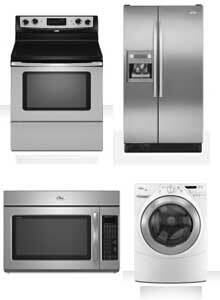 They make high quality refrigerators, dishwashers, microwaves, and more. Are their air purifiers of this same quality? How do they stack up? We are going to review the Whispure 510, Whispure 450, and Whispure 250, air purifiers. First we will look at what each has in common and then we will look at the individual features of each one. All models of Whispure air purifiers use an ctivated carbon pre-filter. They also utilize a true HEPA filter. An activated carbon filter will remove harmful chemicals and odors from the air. However, in these models there is only a small amount of carbon. These purifiers will not do as good a job removing odors as other ones with more carbon. The true HEPA filter these air cleaners use will filter out 99.97% of the particles in the air. It can remove common allergens like pollen, dust, and dander down to 0.3 microns in size. There are two filters to replace. There is the carbon pre-filter and the HEPA main filter. The carbon filter should be replaced every 3 months with 24/7 usage. The HEPA filter should last for 1 year. If you live in a house with a smoker or with pets, expect to change the filters more often. This makes sense though. If your air is dirtier the filters wear out faster. Whirlpool has licensed Master Brand HK, Ltd to distribute the replacement filters for Whispure air purifiers. Each item number now has a "k" at the end. However, it is still the same filter. These purifiers have a built in handle for easy mobilty. They have a place for internal cord storage to eliminate loose cords. All Whispure air purifiers come with a 5 year limited warranty. The Whispure 510, is the largest model. It measures 24 by 20.5 by 10 inches and weighs about 26 pounds. At this weight it is at the top limit of what we consider a truly portable air purifier. There are no wheels on this model so if you want to move it you have to pick it up and move it. This model provides almost 5 air exchanges per hour. 6 would be better. However, five is ok. We can't really complain about this. We would just suggest using it in a little smaller room. This model has a good CADR rating. This measures how well an air purifier removes three main particles from the air: Tobacco smoke, pollen, and dust. The numbers range from 50 to 450. The higher the number the better the air purifier works. The Whispure 450, is a medium size model. It measures 22 by 17.5 by 11 inches and weighs about 25 pounds. This is still a pretty heavy purifier to move a lot. Once again this model only changes the air 5 times in an hour. We like to see 6 exchanges an hour. We think 5 exchanges is not bad though. You can improve the exchanges by using it in a little smaller room. The Whispure 250, is the small model. It measures 19 by 10 by 10.5 inches and weighs about 17 pounds. At this weight we consider this a very portable air purifier. You can easily to move it from room to room whenver you need to. Like the other Whispure air purifiers, this one provides 5 air exchanges per hour. While we prefer to see at least 6. You can get a few more exchanges by putting it in a smaller room. Remember, the more air exchanges per hour the cleaner your air will be. There are numerous positive reviews about Whispure air purifiers. "Very quiet, even at "Turbo" speed"
"The quality of the air has improved greatly." "After trying two other competators (with the devices being fairly equal) the Whispure is the quietest, easiest to use, most attractive, and does the best job." There are many more. Most of them praise how well this purifier works and how quiet it is. We noticed out of 113 reviews we counted 76 people commented on how quiet it is. There were only 4 people who complained about it being too noisy. There were not many negative reviews. The biggest complaint was that it was expensive. These are great little air purifiers. They have all gotten great reviews. We believe that Whispure air purifiers deliver the same quality as we expect from all other Whirlpool appliances. These are not designed to clean the largest spaces and we actually would suggest that use use them in even smaller space than what they are rated for. This would improve their performance. These would work great in bedroom, offices, or other small rooms. We think these make a great second air purifier. We think the Whispure 510, Whispure 450, and Whispure 250, are great for anyone with allergies or asthma. They are also great for anyone who just wants cleaner air. They are NOT good for anyone with MCS. If your main concern is odors or chemicals, you will be better off with a different air purifier. Try an IQAir Purifier. They do a superb job of removing odors and chemicals. 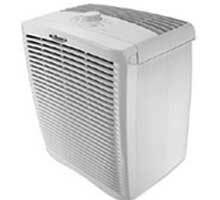 Leave Whispure Air Purifiers Page and return to All About Air Purifiers Home Page.